CFB Pick'Em Contest....SIGN UP HERE! BOTTOM LINE: The Hokies look for ACC title number two in 2005 and could very well get it if QB Marcus Vick lives up to hype and puts his past issues behind him. FSU is not on the schedule, and Miami, BC, GT are all at home. BOTTOM LINE: The Seminoles contiuned to deal with off-the-field issues over the summer and return just nine starters from a season ago. A 1-2 start is very possible, but the schedule gets a little easier after that. 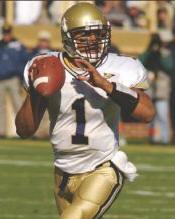 BOTTOM LINE: My 2005 sleeper pick in the ACC, GT returns 8 starters on a defense ranked 12th nationally a year ago. The QB, RB, and WR spots are each very solid, but the schedule could make this projection hard to match. BOTTOM LINE: The 'Canes are used to being in title contention, and 2005 should again find them fighting it out for the ACC crown. The 'D' should be one of the country's best, but the offense is looking for new leadership. BOTTOM LINE: Though QB Charlie Whitehurst is one of the league's best, the 2004 Tiger offense was horrendous and the record not that great either. Home games against Miami, FSU, and BC tell the tale for CU in '05. 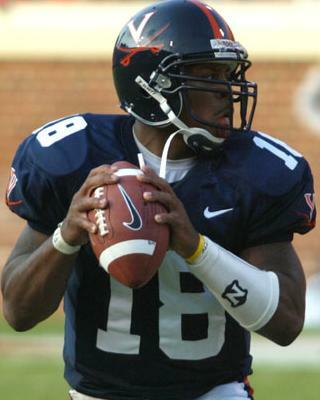 BOTTOM LINE: QB Marques Hagans is back to lead the Cavs against a schedule that should send UVA bowling again in 2005. A five-game home stretch in mid-season will decide if this team has real title hopes. BOTTOM LINE: A promising season ended in huge disappointment for the Eagles in 2004. Though not a 2005 ACC title contender, this fall's schedule sets up nicely and should send BC bowling for the seventh straight season. BOTTOM LINE: The first post-Philip Rivers year was very disappointing. Though the Pack avoids Miami, another .500-type season can be expected again in 2005 as the league schedule is otherwise pretty tough. BOTTOM LINE: The Terps got a rude wake-up call last fall. 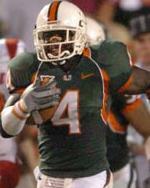 After winning ten games in each of the Fridge's first two seasons, UM went just 5-6 in '04. Only ten starters are back this year, so expect a similar outcome in 2005. BOTTOM LINE: After averaging six wins over the previous three seasons, the Deacons slipped to just 4-7 in 2004. 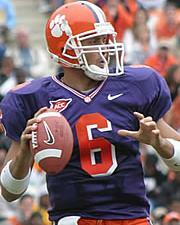 It will take at least four ACC wins to get Wake to a bowl game in 2005, but don't look for that to take place. 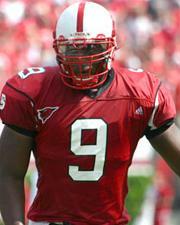 BOTTOM LINE: Darian Durant and the Heels finally broke through in '04, winning six games and earning a bowl berth. Though 9 starters return, the defense was ranked 109th in the country last year. Look for a drop-off. BOTTOM LINE: The Blue Devils won a pair of games in 2004, and a similar result can be expected come this fall. Though a half-dozen starters return on each side of the ball, more than one league win would be surprising.